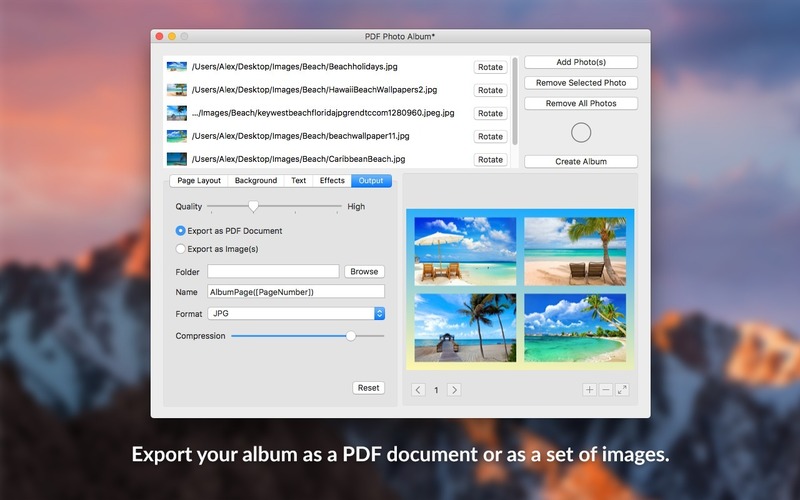 Is there a better alternative to PDF Photo Album? Is PDF Photo Album really the best app in Photography category? 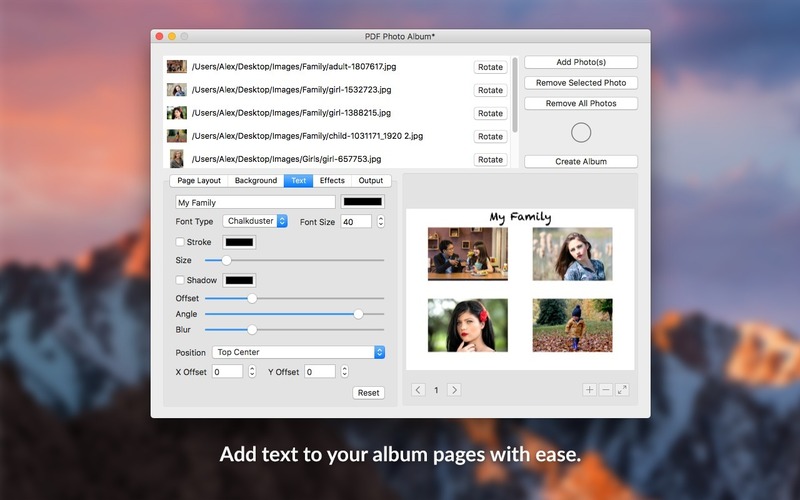 Will PDF Photo Album work good on macOS 10.13.4? 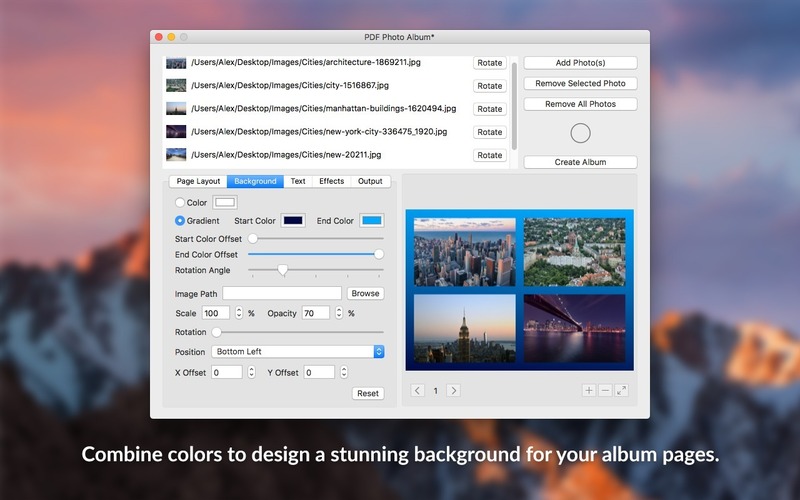 PDF Photo Album lets you create beautiful photo albums and collages. 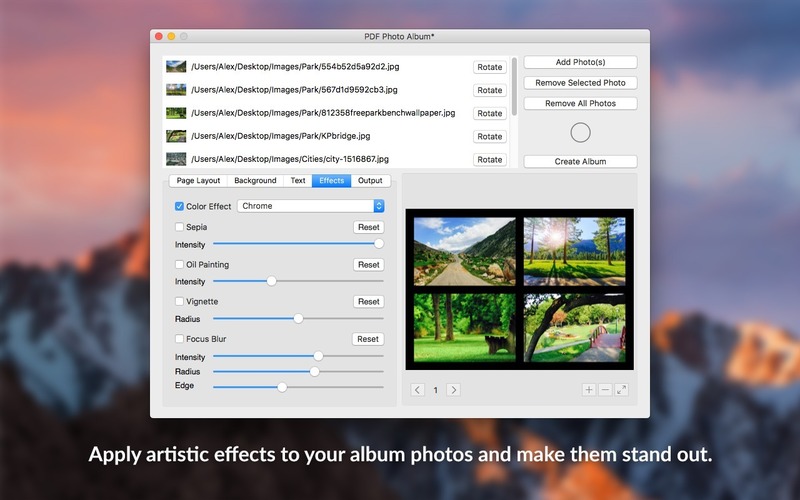 Customise the page layout and background of your album down to the smallest detail, and apply artistic effects to make your album photos stand out. 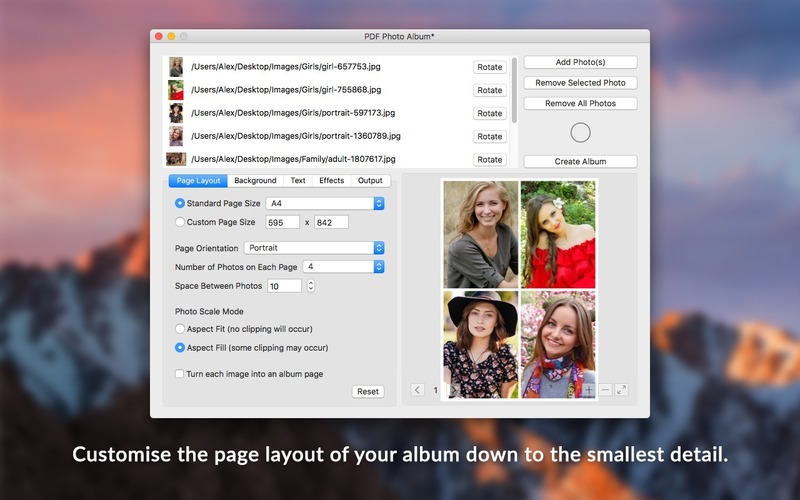 Add text to your album pages to make them more interesting, and export your album as a PDF document or as a set of images. PDF Photo Album needs a rating. Be the first to rate this app and get the discussion started!